This book was incredible, the art was to die for; it was innovative and creative and the attention to detail, just wow. The story was also very engaging, very sad, but very captivating. The story follows Zaya a former Spiral agent that went into the reserves after having twins. 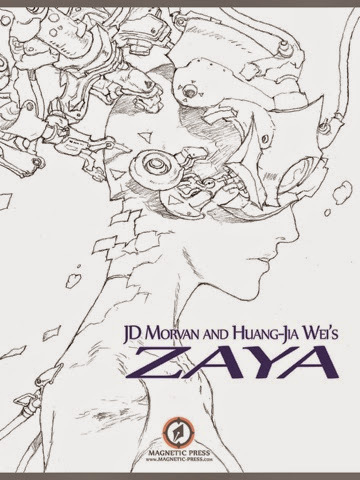 When Zaya gets called in for a special assignment, things go bad and now she's in an alternate universe where she never existed. What follows is insanity that will have you flipping the pages non-stop. This is by far one of the graphic novels I've read in a while.